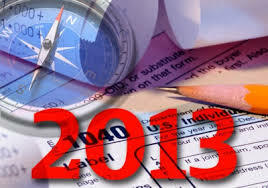 If you have a sizable refund of your 2012 taxes, it may be time for you to check your withholding. After all, when you overpay your taxes, you?re making an interest-free loan to the government. Reducing your withholding is as simple as filing a new Form W-4 with your employer. The form comes with a worksheet to figure out how many allowances you should claim. Don?t forget to allow for other taxable income besides wages, such as dividends or investment gains. If you?re concerned about underpaying taxes and exposing yourself to penalties, there are a few rules you should know. Generally, you won?t face a penalty if you pay for 2013, through withholding or quarterly estimated payments, at least 100% of your 2012 taxes (110% if your adjusted gross income is over $150,000), or if you pay at least 90% of what you?ll owe for 2013.